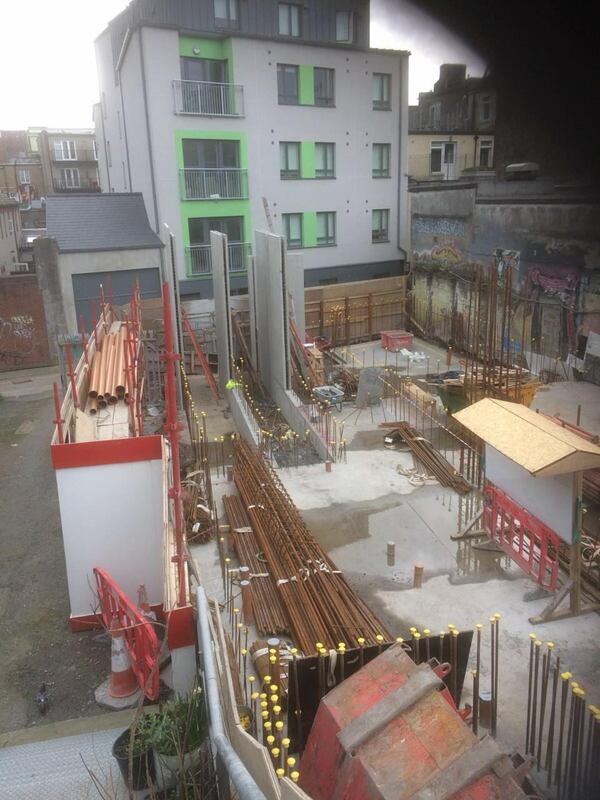 Clancy making excellent progress on our Cuffe Street site. This new 6 storey infill concrete structure sitting on piled foundations has been brought out of the ground on a very confined site in the wettest winter we’ve had for many years. We are delighted to now be erecting precast walls and columns at ground floor level, we should see the structure going up quickly on this very prominent city centre site.